Fernando and I went to see Brave on Sunday. My teeny tiny review: It made me want to watch Tangled. It was a simple folk tale retelling with not a lot of depth or substance like other Pixar movies, but it was cute. Sadly all the funny bits are in the previews and commercials. It's not bad and I can appreciate it especially for having a self-sufficient princess whose kind of a badass instead of flouncing around in pretty dresses. It's probably a good film for kids, especially young girls, but it didn't really have that added factor that made it really interesting for adult viewers. It did, however, have a preview to quite possibly the most brilliant movie of all time. I hadn't heard of Wreck-It Ralph before, but this preview made me very, very happy. The best part is that at no point does it swap to live action, which I sort of held my breath in fear during the whole thing. I think this is now one of my most anticipated winter films. Seriously! How has this movie not been made before? 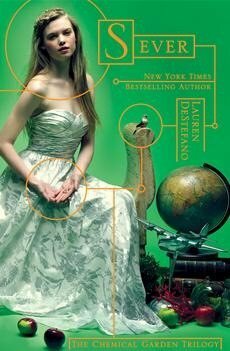 Earlier today, my Facebook newsfeed was flooded with the news that Lauren Destefano's final book in The Chemical Garden trilogy will be called Sever and then the cover started showing up everywhere. I just hope that Dever ends up being just a tiny bit more hopeful or a little lighter than Fever because Fever left me wanting to bash my head against the wall, and not in a good way (is there a good way to want to bash your head into the wall?). Last Saturday saw the hour-long season finale of The Legend of Korra. I originally had the intention of reviewing this cartoon some time ago, but never got around to it. Let me just say that, despite being pretty different from Avatar: The Last Airbender, Korra is just as good of a show, appealing to both an age-appropriate YA audience and adults (or adults like me at least). It has a slightly older bent to it with love triangles (but not annoying ones!) and the characters are all older teenagers. But it's still really awesome. You should watch it. I imagine Nickelodeon is rerunning it a bajillion times in a row right now. And before you ask, no, I have no intention of seeing Magic Mike. 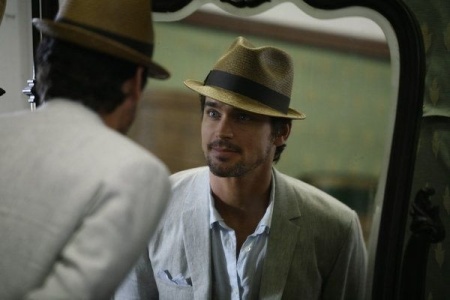 I prefer my Bomer with his clothing on (or at least his pants). So until next week - when it will most likely be all-Comic-Con all the time - be random. And if you have a suggestion on how to get Adam Lambert songs out of my head, send them my way.